Today, an accident like that can cost you anywhere from $3,000-$5,000—maybe more if you live in a suburban area. 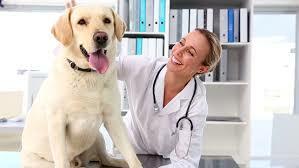 Most Lab owners CAN’T afford a such a blow to their monthly budget. How about if your Lab becomes diabetic and you have to administer insulin every day? You are looking at a HUGE monthly expense over the length of his/her life. Hip or Elbow Dysplasia – Surgery up to $10,000, pain medications, and then, possibly, anti-inflammatory medication over the course of your Lab’s life. Make sure you won’t have to choose between your pet’s health and your finances with Pet Health Insurance. Get started online. Do you have your dogs insured? I would assume so, since you are blogging and supporting it. Any suggestions on the best insurance plans?